Shadow of the Tomb Raider will be out at the end of the way, but how about a treat? We were sent a review copy of the game on both Xbox One and PC and we have prepared a bunch of explanation videos in which we focus each time on something different. As it took us quite a lot of time to record them in 2 languages, we hope you'll enjoy watching them all. Note: We haven't had time to complete the game yet due to all the coverage we had to get ready in time, so nothing we say about the game is completely final. The other .torrent files don't have that error, I only checked the english ones though. That good? I will not be watching any more footage, I want to keep that for when I play it myself. It will be on Xbox One X. So obviously not as good as PC. Should still be great. Thanks a lot for the coverage and the great videos!!! I'm with Moonwalker on this one, going in almost completely blind. Haven't watched any of the other trailers, with the exception of the E3 ones. But just the trailers, haven't watched gameplay videos or anything. Gonna save the Torrent files to download and watch the videos after I've finished the game. This year has been really amazing for games. 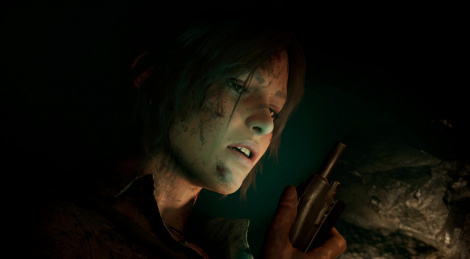 After Dragon Quest 11 and Spider-Man, and now Shadow of the Tomb Raider, September is being really fantastic! LMAO, not even close by a COUNTRY MILE! As far as environmental detail goes, he's not far off. The jungle and ruins looks really nice, and the atmospheric effects, especially the misty, greenish hue light scene look top notch. Poor Lara, it got eclipsed by Spider-man this month. It's not reviewing particularly amazing. Which probably means its good. There is NO game out there, that looks half as good as SotTR ... the LoD, assets, textures, ao etc. look gorgeous... especially on PC. @ 4:50 that's what i'm talking about. sustains very solid gameplay visuals. can't wait to play this. in the meantime i'll finish my recent play-through of RoTR. to get into the mood for the third game. Holy Hell the graphics in that visuals and environment video!!!! oh hell lol, Lost Legacy, Boom! It looks good but the immature fanboy tone is not really justified. It's in the same league as the handful of other AAA titles being tossed around in here. So now I'm an immature fanboy? Luckily I'll be turning 42 in 2 weeks maybe I'll get to be as mature as you are with all your knowledge and sensibility. Did I hurt your feelings in some way to deserve such a lame comment after the time I've spent playing the game and preparing the content you seem to take for granted? If you had the maturity you claim I lack, you'd get to know me before speaking, I'm probably the one person in the team to have criticized the previous 2 games, both in terms of visuals and gameplay. My bad, really thought he was not happy with the praises I threw. Thanks for clarifying that. der_ton, hopefully you'll forgive my mistake. In my defence I haven't been able to sleep much in the past few days because of the time I've spent preparing the videos. I feel all the more embarrassed than he actually has a point, no need to start a war with such comments. Man I'm getting tired of seeing a new face every single game. Can't they just decide on one? I see she still has that pigeon toe'd walk animation. I'm still not impressed by the animation in this game but it looks good overall. There is still something lacking with the visuals. It's almost as if they rely on technical things to bring out the visuals rather than artistic. I don't think the artists are as good as ND but they are pretty capable of using technical aspects of the engine and the hardware to bring it up close to UC. If they could get the animations right and better interactions with the terrain it would be right up there with the best. i mean i could be wrong, in which case your post is still valid. i just got the assumption he was talking about the likes of galanose and hippiestriumph. always been my complaint. the team is clearly capable, but instead of throwing money at the same people (apparently this cost 100 million, over double that of U4) they need to go looking for better talent. namely writers and animators. they've been severely lacking in the last 3 games and if they ever want to swing Lara back towards being likable (because lets face it, she isn't in this reboot trilogy) they need someone who can pen a likable character arch. hell, hire Amy Hennig, wasn't she recently spat out of the EA machine recently? 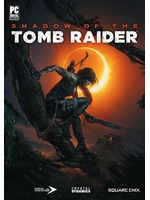 i think a fundamental issue with this series though is that Lara's origin story never really deserved 3 entire games. there should have been the reboot game, and then some sort of 10 year time jump where we see a Lara that actually enjoys what she does rather than being forced into situations she doesn't want to be in. maybe then we could enjoy being in her presence and enjoy following her on her adventures. i'm so glad this trilogy is finally over though. i'm hoping we get a soft reboot next gen that's a lot better thought out.